"People talk of finding religion the same way Kristo, owner of Melrose & McQueen, talks of his first pizza experience: the clouds parted, a lightbulb went off and, all of a sudden, life made sense. He dropped everything he was doing, worked his way up through the L.A. pizzeria ranks, getting to a place where six hundred dollar slices of pizza were no big thing, A-list celebrities were sitting in his chair, and working Fashion Week was just another part of the gig. It seems like a dramatic story for a pizzaologist, but let us reassure you: there is nothing over-the-top about this Inman Park hidden gem. In fact, the reason Kristo decided to bring his pizza-doings back to his hometown of Atlanta was so he could do it without all that unnecessary pretense. And—voila—here we are, in a pizzeria Kristo built out with his own two hands, surrounded by a crew of equally talented pizzaologists who all rather focus on their favorite part of the pizza business: actually doing pizza. And doing it really, really well. 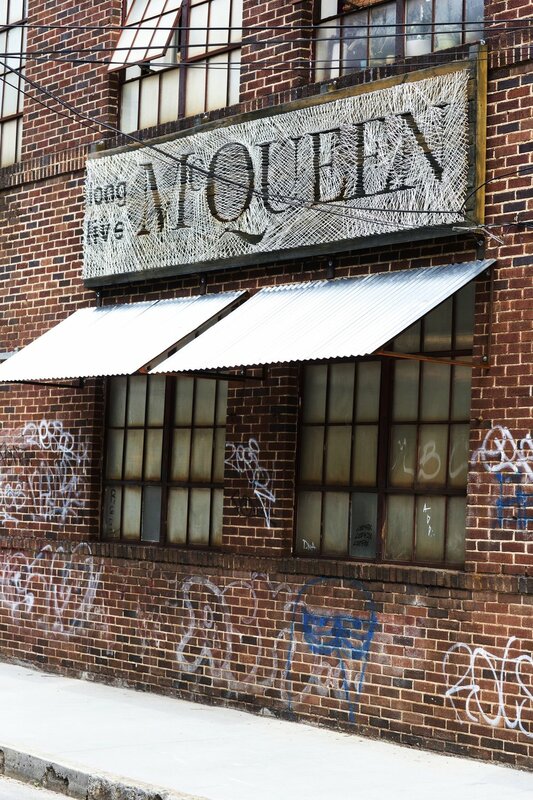 Melrose & McQueen feels like a cool kids’ hideaway. Mostly because it is, what with all the uber-cool-kid pizzaologists, the kitschy, D.I.Y. decor (all of which was either built by Kristo or came from some sort of vintage scavenger hunting), the cans of PBR sitting in the laps of clients, and—wait—is that... a photographer’s studio in the back?! Yep, this place just oozes cool kid appeal. Everyone in here is having way too much fun and the only thing anyone seems to be taking seriously is, well, the pizza. Which is really what an awesome pizzeria should be about, right? Seriously awesome pizza, yes. But also the fun-having while you hide away from the real world, getting pampered by people who are not only good at perfecting that slice atop your head, but also happen to really, truly enjoy doing so. Then, after that wash, cut, and spiffed-up new pizza of yours, you can leave just a little cooler (looking) than when you walked in."